People and dogs have had an interesting and complicated relationship since the dawn of civilization. Ever since the first wolf worked up the courage to take food out of a person's hand our two species have been trying to figure each other out. We have moulded the original overly-tame wolves (and yes, all dogs are descended from wolves) into hundreds of different dog breeds of all shapes and sizes. 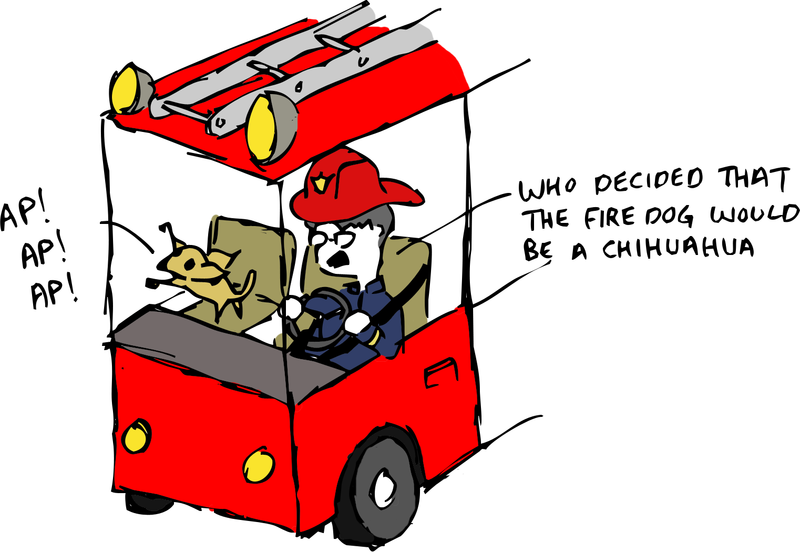 We know which dog to call on to herd sheep, the best for hauling in fishing lines, and which dog to put front and centre in a fire engine. However, for everything we know about the dogs we have created; we have been historically deficient in knowledge of the animals we have left behind. 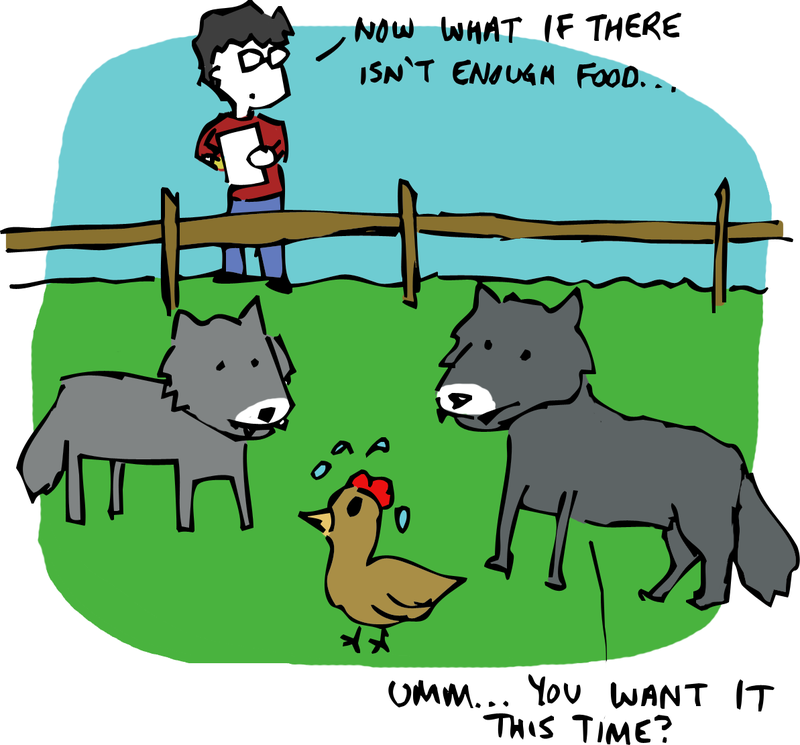 Considering how much we love dogs, wolves have had a surprisingly rough go. Throughout history people have grown to fear wolves and have hunted them to the brink of extinction. Flip through any animal-based fairy tale book and you will find a disproportionately large number of stories featuring wolves as villains. We have been happy to think of wolves as ruthless killers, ignoring the fact that they are essentially just bigger, more skittish dogs that are trying to make an honest living in the wild. If you don’t believe that we have been wilfully ignorant of wolves until very recently, consider the fact that the one thing that most people know about wild wolf packs is blatantly wrong. 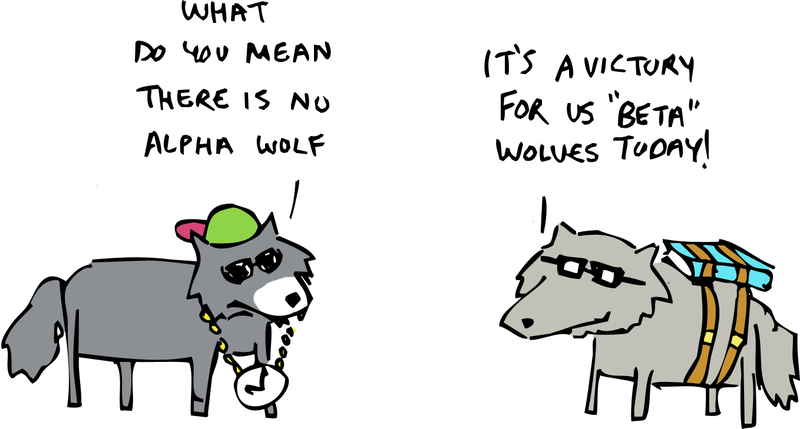 Ask the average person about the social structure of a wolf pack and you will likely get a vague explanation involving the Greek letters alpha and beta. Alpha wolves are the pack leaders; they lead the hunt and keep the betas in their place. They eat first, breed first and are the kings of the castle. The trouble is, they don’t exist. The alpha wolf theory is based on an observational study undertaken in the 1940’s by biologist Rudolph Schenkel. The theory gained popularity in the 1970's when L. David Mech published his book The Wolf: Ecology and Behavior of an Endangered Species. Unfortunately, most scientists (including Mech himself) know that they alpha theory is based on faulty extrapolation. Mech has actually been trying to get the book out of print for a number of years. You see, when Rudy Schenkel was watching wolves and making notes, he overlooked one important fact: the wolves he was studying were in captivity. Their pack was not the kind that formed naturally in the wild; it was made up of adult wolves forced to live together and compete for resources. Not surprisingly these wolves fought a lot and the dominant ones got their pick of food and mates. This study has been compared to learning about the behaviour of human families by observing people living in refugee camps. In truth, when a male wolf meets a female wolf, they mate, and they raise their offspring together. A pack is just a family. When the offspring get old enough, the males leave to find mates from other packs and start the cycle over again. There are no alphas and betas, only parents and children. Occasionally packs will come together to hunt a particularly large animal or take advantage of a concentrated resource, but usually a pack is just a family unit with older offspring rotating out as new ones are born. This simple revelation has had dramatic consequences for the way people think about training dogs. Generally speaking, people fall into either the dominance camp or the positive reinforcement camp. Unfortunately, when you stop talking about wolves and start talking about dogs, emotions run a lot hotter. No one wants to believe their method of training is cruel, but that is the word that tends to get thrown around. We won't branch out into the world of offering dog training advice. 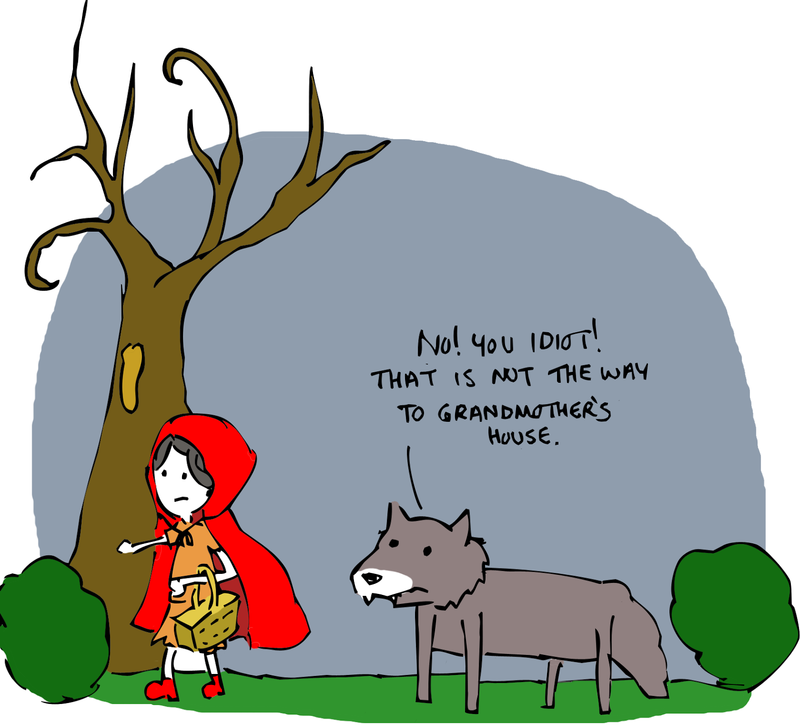 The message we want you to take away from all of this is that things are generally more complicated than they appear, and that wolves are actually a lot more peaceful than you have been led to believe… But you still shouldn't get up in their space… Unless they raised you. Anonymous says the most profound things. Thank you for this very helpful article. @anonymous ... that's all the proof you have. Please supply the proof-current research? We are open to scientific proof to back up these claims. There is plenty of proof to back up the statements in this article and it is presented in a respectful manner . I think the other Anonymous is just being a troll and not really meaning anything thing its saying. Alpha does exist though it isn't what people normally believe to be the Alpha male and female are the breeding pair the ones that start the pack. The "Beta" tends to be the siblings to the breeding pair if they have any. The omegas now i'm not positive they exist but if they do it is most likely members that come to join the pack that are not a part of the family. if they don't exist this conclusion is most likely come to when researchers observe the alphas or other members chasing Juvinial males out of the pack so they go find other mates. You are incorrect. There is no alpha/beta wolf hierarchy. This has been known for decades. Mech has tried to get his book removed from publication for years and years because it is not accurate, however he does not own the rights to it. This myth has been disproved time and time again, it's far easier through DNA analysis nowadays to identify each wolf's relation to one another. Siblings do not accompany a breeding pair of wolves. I'm not sure why this myth is so prevalent outside of the scientific community? Can we get some real verifiable sources of information please. The link below leads to a paper by wolf biologist L. David Mech. Within it he states that whilst there is an Alpha male, it is "no more appropriate than referring to a human parent or a doe deer as an alpha. Any parent is dominant to it's young offspring, so alpha adds no information". Essentially he is making the point that an Alpha male wolf is more a kin to the way a child respects his father. And yes, that guy shouldn't have done captive wolves, but wild ones, it was his mistake.